With the dramatic proliferation of case based reasoning systems in commercial applications, many case bases are now becoming legacy systems. They represent a significant portion of an organization's assets, but they are large and difficult to maintain. One of the contributing factors is that these case bases are often large and yet unstructured; they are represented in natural language text. Adding to the complexity is the fact that the case bases are often authored and updated by different people from a variety of knowledge sources, making it highly likely for a case base to contain redundant and inconsistent knowledge. 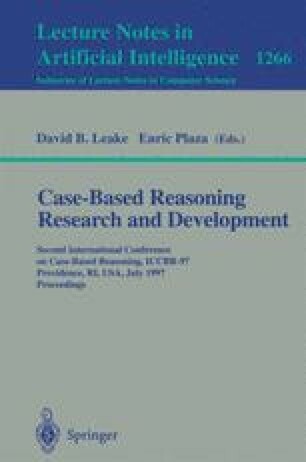 In this paper, we present methods and a system for maintaining large and unstructured case bases. We focus on two difficult problems in case-base maintenance: redundancy and inconsistency detection. These two problems are particularly pervasive when one deals with an unstructured case base. We will discuss both algorithms and a system for solving these problems. As the ability to contain the knowledge acquisition problem is of paramount importance, our methods allow one to express relevant domain expertise for detecting both redundancy and inconsistency naturally and effortlessly. Empirical evaluations of the system prove the effectiveness of the methods in several large domains.